Use GoodSearch as your search engine to help homeless Dals. Super easy to install on your toolbar...just click on the link above & follow the directions. The spots thank you! Shop Entirely Pets And Help DRTB! Dalmatian Rescue of Tampa Bay's NEW website is now up and running. Feel free to browse this, our original site, and then when ready, click HERE here to go to the all new website. Make Your Dalmatian A Star! Starting April 1 until June 1 you can submit your adopted cutie's photo & short story to www.fortheloveofrescues.com/PhotoSubmissions.html for inclusion in their 2011 calendar. It's a wonderful, colorful calendar with pages filled of happy endings. For every calendar bought by a DRTB supporter, they will donate $$$ to us. The calendars make wonderful presents for dog lovers everywhere. SAVE THE DATE...SATURDAY, OCT. 23RD!! 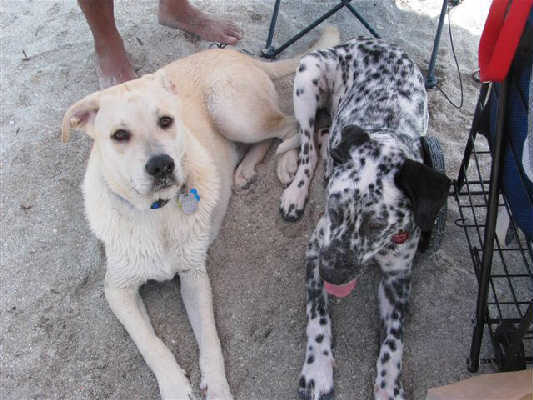 Welcome to the on-line home of Dalmatian Rescue of Tampa Bay. On our site you can learn more about us and our spots. "Our Mission" details rescue efforts. 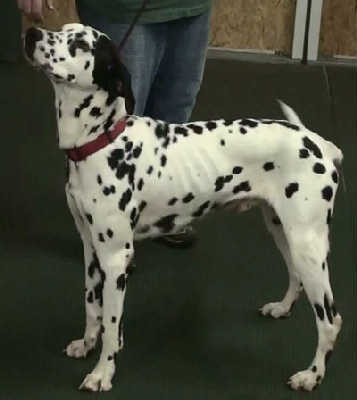 "Recent Spotted Happenings" will keep you up-to-date on current events within our organization, including photos and stories of the spots that have found new forever homes through our rescue efforts. 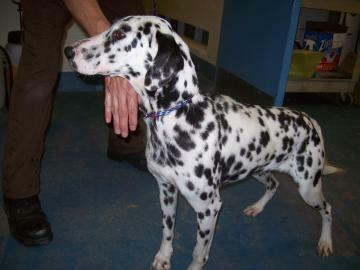 If you are considering adopting a Dalmatian, you may be only a click away from finding the spotted love of your life. Young, old and in-between, each is beautiful in their own way. They all so desperately want another chance for a home and a guardian to love and watch over. Dalmatians are definitely "people" dogs. So please take a journey into our spotted world and thank you so much for visiting!!! If you would like to help save the lives of these beautiful dogs, please consider making a donation. We use Paypal - a safe, secure method of getting your online donations to us quickly so we can put them to immediate use. All donations directly support our rescue efforts and pay for food, vet checks and medical treatment for animals in our care. Please, adopt a spot into your heart and make a contribution today. The spots thank you. Citrus County Abuse Case....Click To Read. Entirely Pets Is Donating 10% Of Every Purchase To DRTB - Just Click On This Link And Start Shopping For Your Best Friend! Life's A Beach For This Little Spot.....Click On Photo. Dalmatian Rescue of Tampa Bay, Inc. is a 501 (c)(3) non-profit, registered Florida corporation. All dontations are fully tax-deductible.